DRAFFENVILLE – In their third season at Marshall County High School, the Archery team has competed in five competitions and have posted one 1st place finish, two 2nd’s and two 3rd’s with their highest team score of 3293 coming in their most recent competition on January 13-14 at Trigg County’s Arrowcat Classic where they placed 3rd out of 7 teams. The individual high score of the season so far has come from Daniel Bryant with 296 points and 26 tens in their first competition of the season on December 3rd at Trigg County. 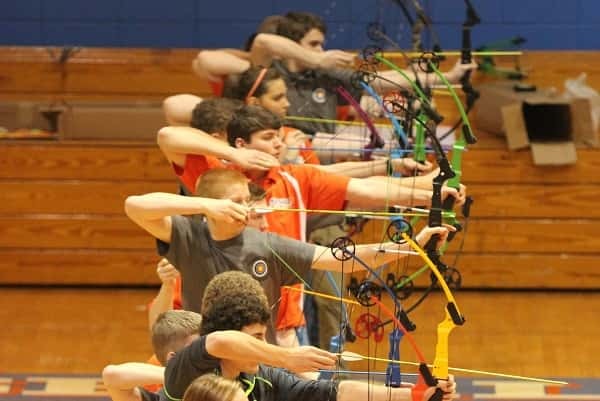 Marshall County will host the NASP Region 1 Tournament this Friday and Saturday with flights from 5:30 to 7:30 Friday and beginning at 8:00 am with the first flight Saturday, finishing up with the final flight at 4:30. Marshall County results below from the first five competitions of the season.